Our Superfoods Powder can be mixed with water or added to smoothies for a super-nutritious antioxidant boost. 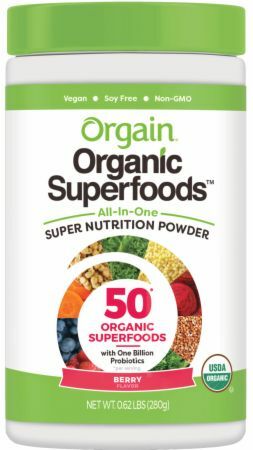 With 50 organic superfoods (including berries, organic veggies, and ancient grains!) in every scoop and 1 billion clinically proven probiotics, it’s ideal for both adults and kids. No Organic Superfoods Reviews Found. Directions For Organic Superfoods: Mix one scoop into your favorite smoothie, or simply shake or blend with 12 ounces of water or juice.